Jussie Smollett attends the Black AIDS Institute’s 2018 Heroes in The Struggle Gala on December 01, 2018 in Los Angeles, California. To say Wednesday was a whirlwind of emotions is putting it lightly. A rollercoaster ride of progression has surfaced regarding the reported homophobic and racist attack on Jussie Smollett that occurred late Monday night (into Tuesday). 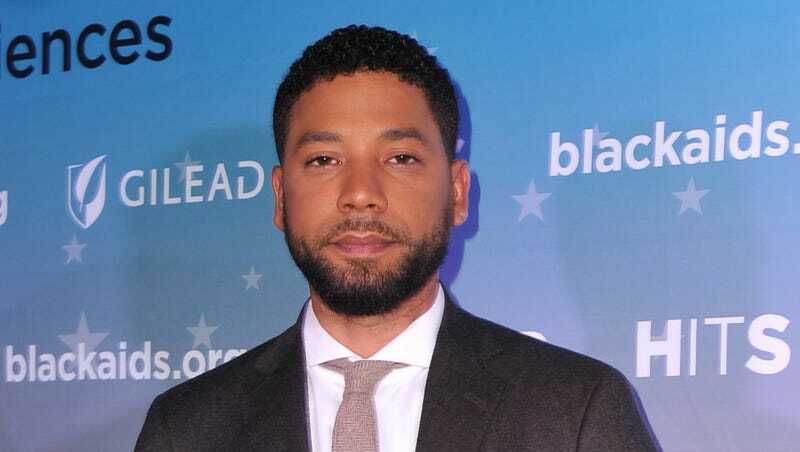 The suspected hate crime involved two men wearing ski-masks who approached Smollett around 2 a.m. and hurled bigoted slurs at him as well as dousing an “unknown chemical substance” on the 35-year-old. The Chicago Police Department (CPD) recently confirmed with ABC News that the FBI is assisting in the current investigation. CPD is also investigating the previously reported letter threat sent to the actor and singer. Following the horrendously tragic news, a flock of celebrities and influencers showered Smollett with love and support via social media. Shortly after Empire co-creator Danny Strong tweeted a statement on the incident, Lee Daniels posted an Instagram video offering his support to Smollett, as well. One thing to note: shortly before news of the attack came, Smollett posted something on Instagram regarding an extra-long travel process for what was to be a simple two-hour flight. The inclement weather in Chicago was to blame. It initially alarmed me since it made me wonder if the reported assailants tracked him from this post. A scary and sobering reminder on how social media can be dangerous for a prominent figure. Alas, I’m sure all of this is being taken into account now that the FBI is involved. At the time of this article’s posting, Smollett hasn’t released an official statement on the matter. The Root has reached out to Smollett’s team for comment and, of course, we extend our well wishes to him and his family as he recovers and processes these events.